Visitors of this site might be wondering why there’s been little work done on o-matic in the last few months. I’ve been working on Another Project since last year. That, and having started my own company has been taking up all my time. There have been a couple of commits to the git repo though, so I haven’t been neglecting it too much. I’ll be making an announcement about this “Another Project” very soon, so stay tuned. Once “Another Project” has been officially launched, I’ll resume work on o-matic. I have a few things I want to improve. Hi there, I’ve been attempting, for many months, to install x11rdp onto a Debian system for a remote desktop server. I have followed all available documentation, and the install seems to have gone without a hitch. However, whenever I attempt to connect to the server via Windows Remote Desktop client, all I get is a black screen. I am honestly at my wits end, as I have found absolutely no help online due to 99% of the posts being about Ubuntu. Any help would be immensely appreciated. If you’d prefer, we can email at the given address. Thank you so much, and I await a reply. Then logout, and try logging in via xrdp. You should also try using Xfce or KDE as your desktop manager. Using Gnome Shell won’t work via RDP as Gnome (and Unity for that matter) require accelerated graphics. I’ve successfully run X11rdp-o-Matic on a new build of Debian Wheezy. I’ve also run RDPsesconfig.sh with no apparent errors but mixed results as follows. 1. sesman-Xvnc works OK from Windows 8.1 Remote Desktop Connection and gives a usable Gnome session. Output of wmctrl -m gives “MetaCity”. 3. Mac OSX 10.9 Screen sharing was disabled by the installation but works Ok after disabling and then re-enabling screen sharing on the server. My gnome-session is set to gnome-fallback because the server has an ATI RageXL 8MB PCI Graphic Controller (No 3D graphics). I’ve kept several .xsession-errors files for the above tests. Happy to correspond with anyone else trying similar tests. Hi David and thanks for your feedback. Gnome 3 is definitely not a good choice of desktop for X11rdp, even if it’s Fallback. For the X11rdp back-end, I definitely recommend something like MATE or Xfce4. Even KDE works. My xrdp11 worked fine untill I installed the proprietary dirvers for ATI radeon HD. I had not, unitll an app required them. I have put the following on .xsession: gnome-session –session=gnome-classic and gnome-session –session=gnome-fallback. No response. I am a bit stunt because someone on an ubnutu forum has this set up wprking (without the prop drivers on the rdp side of course).http://askubuntu.com/questions/313525/how-to-load-fglrx-drivers-for-rdp-session. Please help diagnose of hint me. 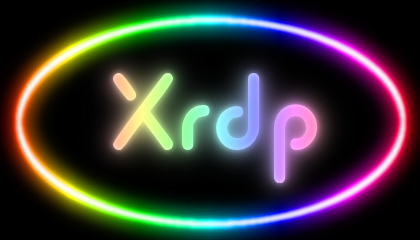 As far as I’m aware, xrdp currently only allows for 2D graphics. Gnome Shell (even the fallback) won’t work via xrdp, because Gnome3/Shell requires hardware acceleration, therefore I can only recommend you use an alternative desktop such as Xfce4 or even KDE Desktop, for example. I know those work fine. It has nothing to do with the fglrx driver. Even my system with an AMD HD7950 running the fglrx driver can’t run Gnome, because the fglrx driver doesn’t support a particular thing that Gnome3 is looking for so just crashes. I just use KDE as my main workstation desktop. Thanks for the work into putting all this together. I have had your script and build working well before on Ubuntu 12.04 but I wanted to try a more recent distro so went for Linuxmint 16 MATE reckoning it has been around for people to have messed with in preference over Mate 17. However it looks like it doesn’t work properly for me. It builds, runs and allows me to connect but it looks like elements are running as root or with permission issues. Network doesnt work, no menus show up and similar stuff not happening. Any pointers? I am just trying with a devel build in case anything may have changed for the better there but maybe you have some clues where to look? Try logging into the system normally (i.e. not via xrdp) , bring up a terminal window, and see if you have a file called .Xauthority in your user directory. Then try logging in via xrdp again. I’ve heard that this solves problems such as yours. The other possibility is that the PolicyKit policies are what’s causing this – I wrote about that a while back, it’s on the blog somewhere so try searching for PolicyKit in the search box. Also, you could try using an alternative desktop like Xfce4, for example, which is what I usually do for rdp connections. Thanks for those ideas. The .Xauthority made no difference in my instance and I tried logging in directly on the KVM console to the MATE desktop successfully but that too made no difference. I then edited all the policy kit rules to allow auth_admin_keep for inactive – including the linuxmint and mate specific files all to no avail. I looked in the various /var/logs, but nothing stands out as a particular problem, apart from some DBUS errors on permissions but there was some noise about too with some script hacks looking for 3389 ports. Might try again another time when I have some free. I dont really enjoy using xfce4 and was looking for a mid range desktop solution, not quite gnome 3 HW heavy extravagance, not quite xfce basic and MATE would suit the bill well. Thanks again for the help, if I find a solution I will pop back and mention it.